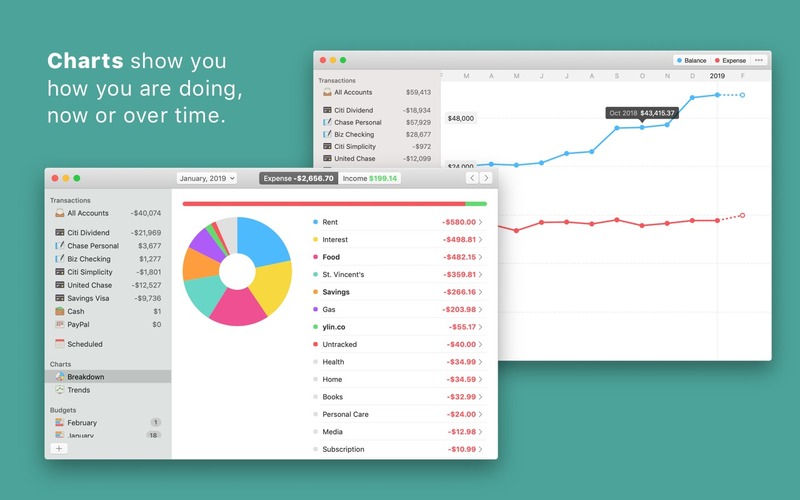 Simple personal finance for your Mac and iPhone. Is there a better alternative to Savings? Is Savings really the best app in Personal Finance category? Will Savings work good on macOS 10.13.4? Savings is an app that helps you stay on top of your personal and work finance. Use it lightly or track everything down to the penny. Keep track of their business expenses. 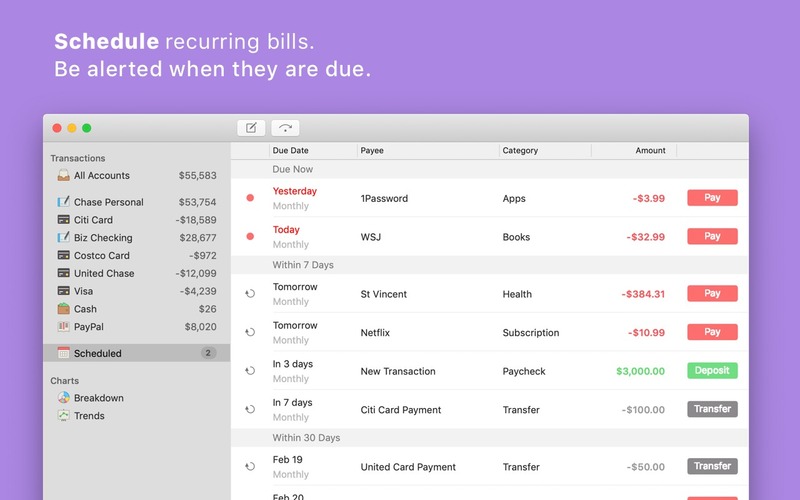 We designed Savings specifically for macOS. 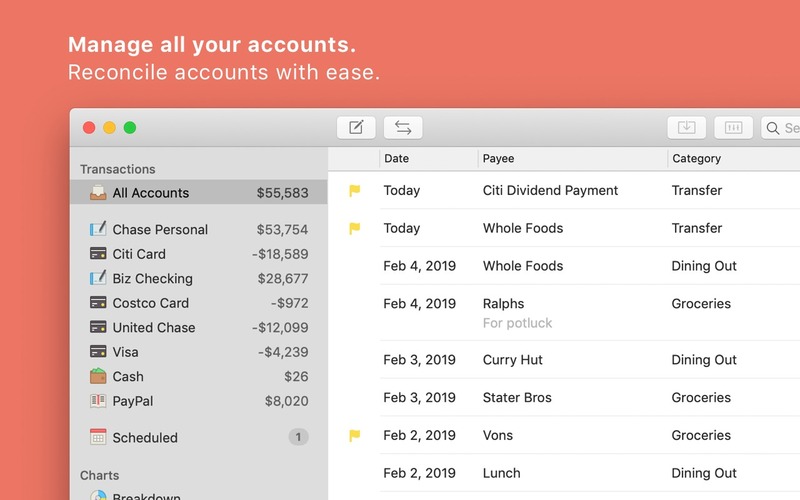 Keep track of all your accounts in Savings to stay organized. 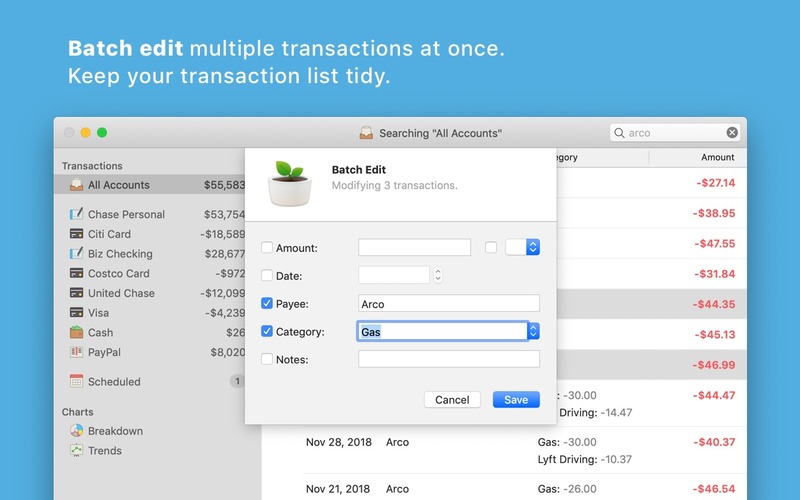 Create scheduled transactions for bills and be reminded when they are due. Import transaction activity from almost any bank. A bug where the first budget created isn’t visible until user restarts the app. A visual bug where in Scheduled, the group row background is clear instead of gray, making it harder to read. A bug where clicking on the "Other" slice in Breakdown pie chart causes a crash. 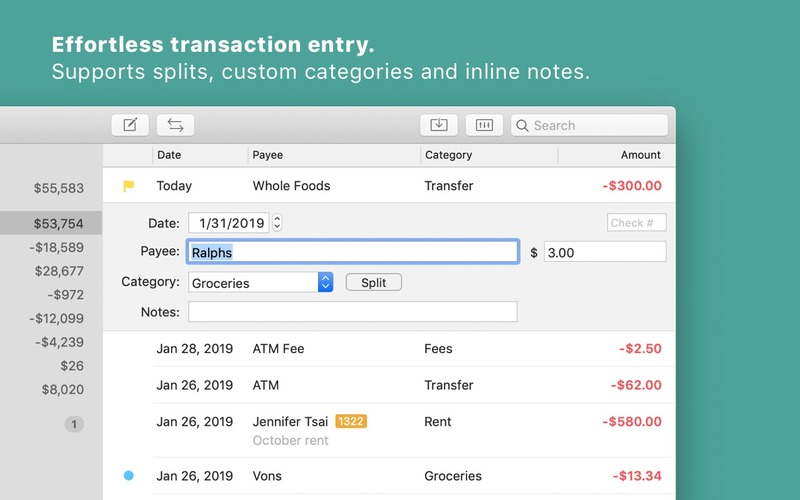 When you import, pending transactions are automatically cleared. A visual glitch where the "iCloud is On/Off" label is not readable in Dark Mode. Alert that shows when scheduled transactions are due. This is unnecessary because the notification badge on the Dock icon is sufficient. Budget so a monthly budget is always created by default, instead of yearly.